You may think these children's cards are just a toy... but how things have changed since 60 years ago. A simple set of cards like these gave hours of pure fun and enjoyment... and would have been a cherished item in the toy cupboard! 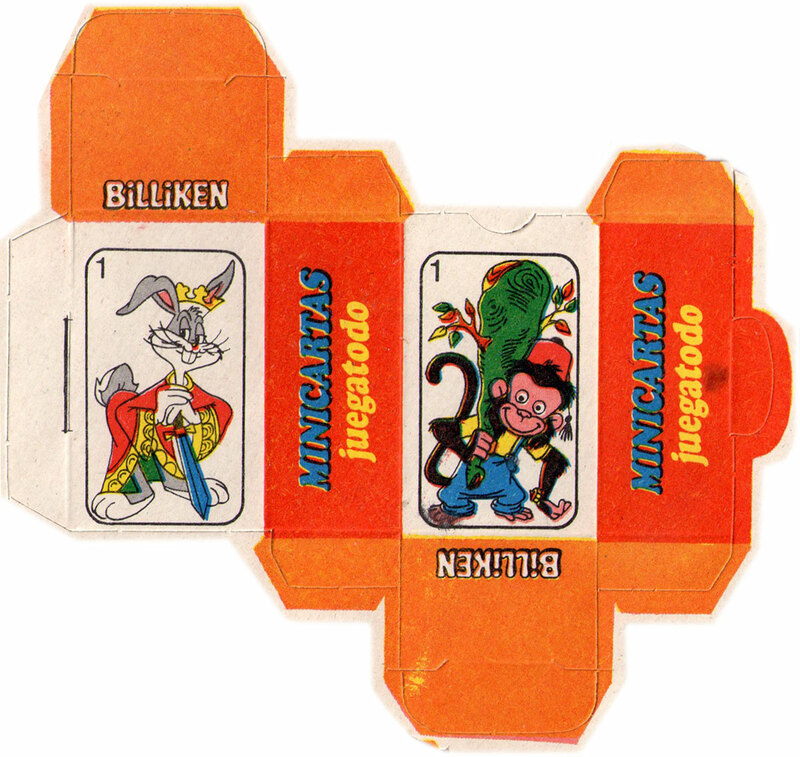 Published by Editorial Atlántida in the weekly children’s magazine “Billiken” which circulated in Argentina and Uruguay, the card material itself is similar to that from which breakfast-cereal boxes are made, with perforations outlining the cards. The sheet, folded in half, was inserted in an issue of the magazine. Readers could separate the individual cards by tearing along the perforations, then fold and assemble the tuck box (see below) and store the cards within it. Copas (Cups) - possibly Daniel el Travieso (Dennis the Menace). The “F.B.” on the Rey (King) may be the artist's initials. Photo Credits: all images courtesy Robert S. Lancaster. The box was supplied as a flat sheet, pre-cut, scored and ready to assemble.